If you can't converse effortlessly and think completely in Italian, then this course will provide you with massive value because it was designed specifically for you. Whether you know nothing or consider yourself intermediate, this course will take your Italian to the next level. So you want to speak Italian? Maybe you took a class with a teacher but left without knowing more than when you started. Maybe you tried to speak but others couldn't understand your pronunciation, which left you feeling embarrassed and left out. Maybe you sat and watched Italian movies and TV shows but just felt overwhelmed and couldn’t understand anything. Maybe you tried a language app and learned some new words and phrases, but still couldn't speak. Maybe you tried memorizing endless verb conjugations but couldn’t remember anything afterward. Maybe you bought a grammar book and studied your heart out, but couldn't piece together a sentence when the time came to speak. but the reality is you feel like you'll never speak and live your Italian dream! Have you tried multiple programs and different ways to learn, but still struggle? So did Lee. He had a deep desire to learn Italian and wanted a course that went beyond rote memorization. "I took the Italian in Your Pocket course with Luke and it was one of the best experiences that I’ve had in the past year. I’ve really been struggling to learn a language. I’ve tried everything from Rosetta Stone to Memrise to Duolingo. The rote memorization is great for learning key words and phrases, but it doesn’t teach you conversational Italian. Working with Luke was a great experience; being in a team environment where you got to hear other speakers [and] go through the process with you." He wanted something that gave a logical, easy way to learn Italian by building on previous knowledge each time and not throwing people into the deep end expecting them to retain a vast majority of new material each time. ...getting lost in the rolling hills of Tuscany. You stumble upon an old winery and meet the winemaker Francesco and his family. He loves to take people through his vineyard and show them the process of creating the most incredible wines they've ever tasted. He loves to tells stories of when he was a child and how he learned his craft from his father. A few months before your trip, you spent a little time every day just listening to conversations in Italian. After a week or so, what sounded like gibberish began to make sense. Before you knew it, you were speaking and understanding Italian. Now imagine after that, you find yourself lost in those same rolling hills of Tuscany. What would it feel like to greet him in Italian, "Ciao, come stai?" And when he starts talking in Italian, you're able to understand and respond with confidence. Imagine the smile on his face when you do. Imagine how he welcomes you into his world. Can you taste the wine now? I can still remember my first time. I looked out the airplane window. We hadn’t even landed yet and I already knew... I hadn’t even taken a step on the cobble stone streets, tasted the most delicious lasagne al pesto in the world, or met the passionate and beautiful people of Italy yet. I knew that I was home. But I felt like an outsider. From that moment on, I spent every waking second for the next year doing everything I could to speak this beautiful language. Classes, books, language apps, flashcards, movies, and software. You name it. I tried it. After spending over a year of trying everything and spending literally HOURS every day just to learn, I finally broke through and I booked a trip back to Italy. When I was there, I spoke only Italian for 3 weeks. This time, I wasn't an outsider. I finally knew what it felt like to be Italian. It took too much time and effort. I had to spend 7 or 8 hours a day just to learn a language. It was like having a full-time job. I knew there had to be a better way, but I wasn't quite sure how. So after learning Italian, I set out to learn Spanish and French next. But this time it went much faster and required less effort. I became conversational in French and Spanish in just a few months. Each time I learned a new language, I was able to optimize my process for learning. I finally figured out the secret to learning languages quickly and easily. 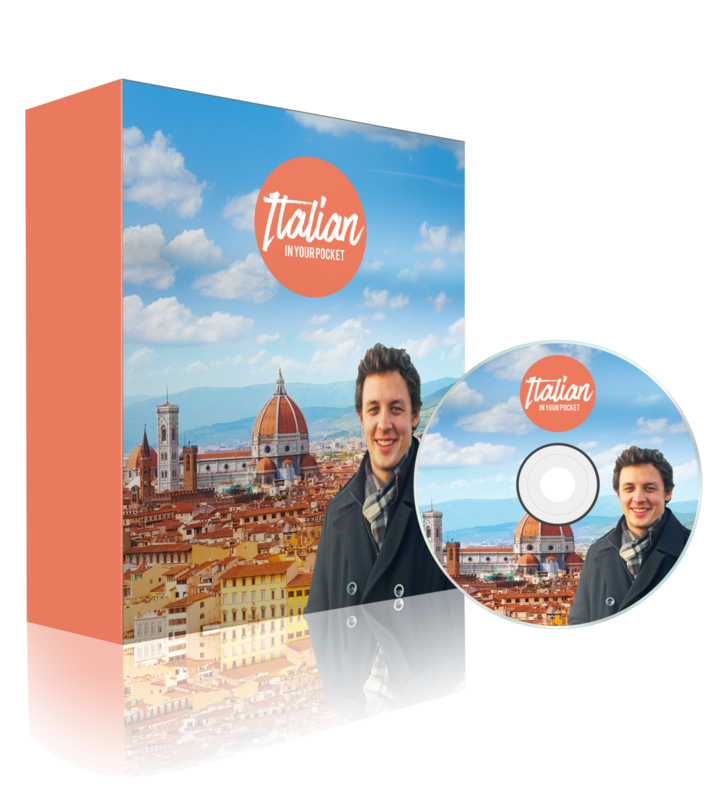 I then spent the next 2 years developing an online course to teach students how to speak conversational Italian in only a few months. And after that, I spent 6 months beta testing and honing that system to make sure that students would be successful. I picked students that were motivated and knew little to no Italian. So you don't have any experience learning Italian? Never taken an Italian course before? "I really like that it's not a conventional language course where you first learn grammar rules, you write things down, and only later you work on your speaking and listening competencies. I do get frustrated when I listen to the dialogues for the first time and understand almost nothing but the more I listen, the more I understand and it is very rewarding. I download the dialogues to my phone and listen to them whenever I have some free time - it's nice to realize I use my free time in a very productive way." She had tried different apps and learning by herself, but didn't get very far. After signing up for the program, she was able to have a complete conversation with me in Italian after just a couple months. Notice how she is able to respond to me without ever speaking English! "I love having a little community of people to learn with! The Facebook group is great because it helps me feel connected to everyone else, which is important to me (as I'm sure it is for everyone else). I also love all the positivity from you and everyone else in the group! There's a lot that I like about this course :)"
Learn how to speak conversationally in different scenarios with confidence for example, how to order from a menu, get a table at a restaurant, organize a trip to the beach, go on a shopping trip, have a casual conversation at a party, and much more! Learn while listening to Italian songs using The Repetitive Retention Method! 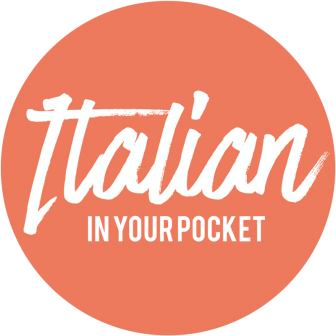 You get access instantly to Italian in Your Pocket. 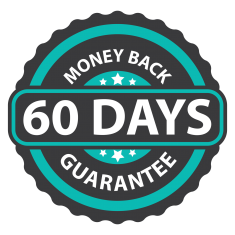 If you enroll in Italian in Your Pocket by YLanguage, LLC, you are agreeing to this limited 60-day refund policy. 30-60 minutes a day to see results. If you do less and miss multiple days in a row, it will take longer. IS THERE A WAY I CAN PRACTICE WITH OTHERS? Using the italki tutors is where you will be able to speak and I also cover how to properly use the HelloTalk app as a great way to practice even more speaking Italian with other speakers. WHAT IF I HAVE QUESTIONS? HOW DO I KNOW WHEN I'M DOING SOMETHING WRONG? You can always send an email and reach out if you aren't sure about something! HOW CAN I IMMERSE MYSELF? I'M NOT IN ITALY!! Because of technology and the way the course is designed, you can CREATE an environment of immersion using audio provided and doing different techniques discussed in the course. Someone not willing to work through a challenge: Learning Italian takes work. It can be hard and frustrating at times. Just like everything else in life, what you put in is what you get out of it. Someone not willing to make mistakes: Let’s face it. Whenever you learn anything, you're not gonna be very good at first. Not sounding perfect and being okay with it, is the first step to getting better.